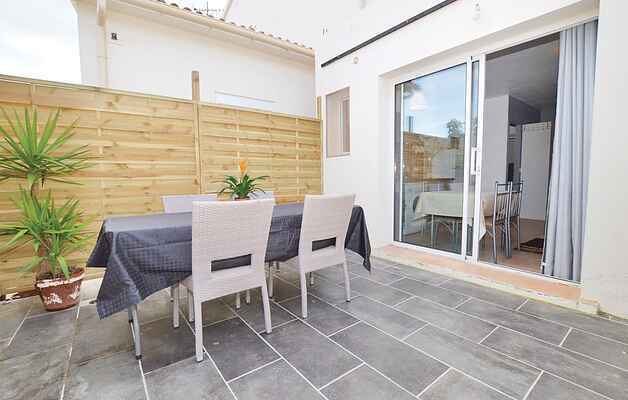 Located 3.8km from the large beach of Aléria, this charming holiday cottage adjoining the owner's, will be ideal for a romantic getaway under the Corsican sun! This nice independent and adjoining studio with the house of the owners. With a separate entrance and a nice furnished terrace, holiday barbecues will be a real treat. Quiet in a residential area a little away from the city, while being only 700 m from the mouth of the Tavignano and 3800m from the wide sandy beach of Aleria and it also enjoys a strategic location to visit the island half way between the south and the north. The great bike path that joins the sea is very pleasant for walking and the gorges of Tavignano to go hiking or kayaking for the more athletic. If you are dreaming of a romantic holiday for two, this charming vacation rental is for you.